Hesston's History dates back to 1886, when the Missouri Pacific railroad was building westward. The town had two names before the people settled on Hess Town, named for two brothers who were landowners where the town was later built. For many years Hesston was a small agricultural town of Mennonite farmers. These people valued higher education, so in 1909 the Mennonite Church founded Hesston College. Looking around Hesston, you'll find strong pride of ownership in everything. Homes nestled on peaceful, tree lined streets are neat and carefully maintained. Public facilities from the library to the park are well tended and readily available. 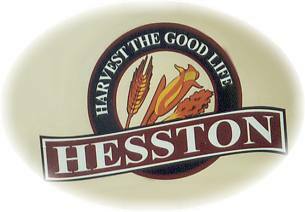 Hesston offers you the safety and friendliness of small town life in a modern, progressive community. Whether you're starting a family, thinking about retirement, or anywhere in between, there are son many reasons you'll treasure Hesston. The Dyck Arboretum of the Plains is an outdoor education facility with a unique mission--"to foster an appreciation of the natural beauty of Kansas." The display in Charles Hall on the Hesston College campus consists of several small exhibits on geology, the Quivira Indians, and botany. The display also includes over 300 birds indigenous to Kansas.